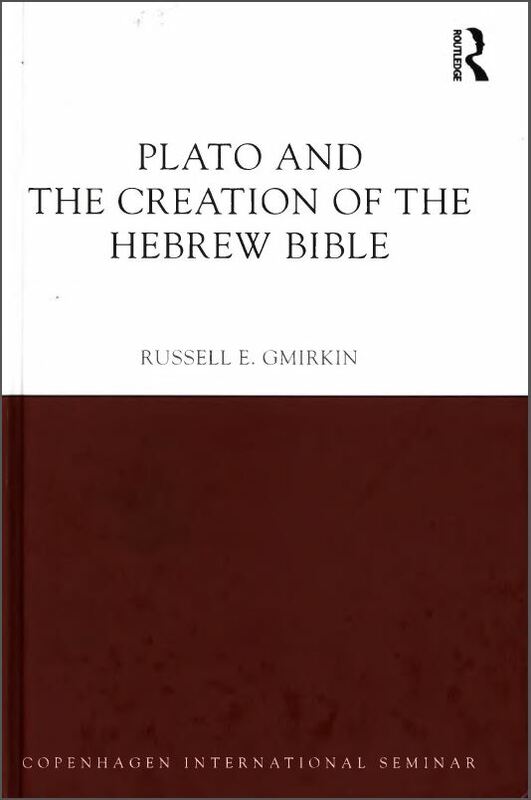 Here are all the posts I have completed so far on Russell Gmirkin’s book, Plato and the Creation of the Hebrew Bible. You can also read an extended abstract or chapter by chapter outline by Gmirkin himself on his academia.edu page. As you can see I have not yet begun to post anything on the final chapter of the book. And what’s worse, I can see from post #18 that I am still stuck at the same place I was over a year ago! Blame my long time love of ancient history for this situation. So when I came to the chapter covering foundation stories I found myself revisiting a raft of Greek foundation myths, their sources, and literary and thematic structures, and doing too many posts on that one point. I’ve often found myself also chasing up new data relating to historical methods that I have been discussing on Vridar quite often, and also learning about historical controversies and how the debates are conducted among classicists and ancient historians (with half a mind comparing the way such disagreements are handled in certain quarters of biblical studies). Further, I’ve spent some time following up studies not just on concrete points of similarity (e.g. a hero leaves a high culture; hero experiences a divine command; etc. ), but on literary structures of the narratives themselves. I’d like to write more about those. leading up to the launching of an expedition of colonization to a new land. Siculus, Library 1.28.1-3 [colonization accounts]; 29.5 [reason for colonies]). of the children of Israel was a narrative element unique to the biblical . . . .
That is not a quick read for anyone who wants to know the detail, the examples, in order to know how well the argument really works when examined more closely. I would much rather the end-notes had been printed on the same page as the main text. Yes, that would sometimes mean only a few lines of main text on a page where many follow up references and discussions had to be added, but for me that would have made a much easier read. I’m also greedy enough to want more than line references in the sources that I have to go away to look up. Adding quotations would add to the length of the book, of course, but it would have made it much easier to feel one has the complete picture, not just direction signage to lead one to locate the pieces of the picture for oneself. But I can’t complain about the book lacking detail or the means to follow up the many topics addressed. I have these past few weeks been following up additional reading (from the end-notes — and then more readings as I follow up the second and third order citations), piecing together the various sources for other foundation myths I have not covered on Vridar yet. But enough is enough. I will post more on those myths and their structural similarities to many of the Biblical stories at another time. Next post must begin with a look at the final chapter. Did I say enough is enough on the foundation stories? But what about the differences, the unique features in the Bible stories? 91 The tradition history approach of Rolf Rendtorff and the European school hypothesized the independent formation of the various units composing the narratives of Genesis- Joshua, which were thought to have been unified only at the last stage of redaction; cf. Rendtorff 1990. But these narrative units (aside from the primordial history in Genesis 1-11) may now be seen as essential story elements within a typical foundation story: the ancestral land promises, the departure or exodus, the wanderings, the receiving of the law, the conquest and settlement of the land. The individual units are best understood as having been composed with overall narrative scheme in mind. The explanation of these units as expected components of a foundation story appears to weigh decisively against the redaction critical model. As can be seen from the earlier comparisons, the biblical narratives about the patriarchal promises and the later Exodus, Sojourn and Conquest form a connected unity that closely conforms to the Greek literary genre of ktisis or foundation story.91 As with many foundation stories, the biblical account has its own distinctive features. Although some Greek colonizing expeditions began as an escape from slavery, and although some Greek lawgivers claimed divine inspiration, both the biblical Exodus and the giving of the law at Sinai were accompanied by divine signs and wonders not typical of Greek accounts. The authors of Deuteronomy appear to have been keenly aware of these innovations in Israel’s foundation story. Deut. 4.32-34 claimed that one could make inquiries and not find another nation to the ends of the earth and the dawn of time that had heard the voice of God speaking directly out of the fire (an allusion to the Sinai theophany of Ex. 19-20, 24) or was taken by signs, wonders and a mighty hand from out of the midst of another nation (cf. Ex. 34.10). This statement displays consciousness of a literary genre dealing with the origins of nations – namely the foundation story, which was known only in the Greek world – and that the Israelite foundation story was unique in Yahweh’s direct role as deliverer and lawgiver. Part 4 of Greg Doudna‘s the interview with John Curington. The previous installment ended with Curington’s testimony concerning a meeting between H.L. 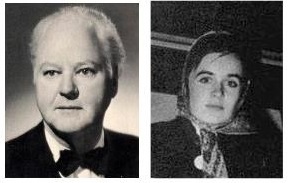 Hunt and Lee Oswald’s wife, Marina. Discussion of that meeting continues here. Further details covered: circumstances surrounding Oswald’s murder; rowdy crowds at Adlai Stevenson’s visit to Dallas; and retrieval of an autographed book. GD: You mentioned that it was maybe thirty minutes. That’s not a very long time for a visit. JC: It would be less than—oh he wouldn’t, no, that would be a long time for Mr. Hunt to spend with somebody. I don’t believe he’d have had any interest whatsoever in other than a five or ten minute conversation. JC: Again, you’re going back to what most people would do, but you know, he just wasn’t most people. JC: But again, when I make a statement like that, or when I write something like that, when Marina Oswald denies the story, most people hearing my remarks wash ’em off as a fictitious story. Nothing I can do about that. You know, they’ve got their opinion. But I know—you just don’t go lock a door between two buildings that’s never been locked before, never been locked since. You don’t normally go in and tell every Hunt employee to go home if in fact they are there. And you don’t stay in the lobby and if a Hunt employee comes in to send them home. It would suggest to me that he wanted somebody coming into that office that he didn’t want anybody else to recognize or see. GD: Did she speak to you or anything? JC: No, my instructions were not to look at her, not to speak to her. She didn’t look left, didn’t look right, I didn’t show any recognition whatsoever. She was well dressed, her hair was combed, had on lipstick, she would not be what I would call a pretty woman, but sort of an attractive woman you know, just the way she walked and carried there—she didn’t look left, she didn’t look right, she punched the elevator door. Of course at that time all of the elevators were on the ground floor. I think there were four there in the lobby. It opened immediately, she disappeared, and came back within a less than a thirty minute period of time. GD: Is the fact that she says she never went to see Mr. Hunt—could that be as simple as he asked her not to tell anyone? JC: —going around me, you know. JC: I’m not going to be in the lobby under a very set of mysterious instructions, see a lady come in that is on the news 24 hours a day 7 days a week, that I don’t know who she is, you know. JC: An orangutang if he had been with me he could have told me who the lady was there. So I don’t think, you know—I don’t have any reservation, conscience whatsoever in telling that story. That’s exactly what happened, and I think what happened with Marina Oswald, one, Mr. Hunt could or could not have given her a pretty substantial gift. He could or could not have identified himself. Normally he wouldn’t identify himself. 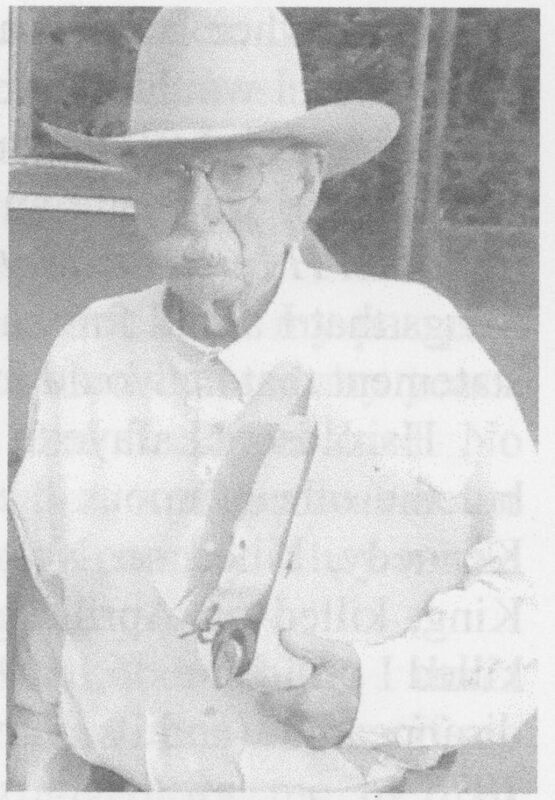 But he just had enough ego that in his mind, if he could talk to Marina Oswald for three or four minutes, he could pretty well tell anything she believed as far as Lee Harvey Oswald and Kennedy was concerned. GD: And when you saw her, how long did it take for you to say, “That’s Marina Oswald”? JC: The minute she was out of the car. Of course I had an opportunity to observe her for about a two hundred foot walk there, so, you know, it wasn’t just a haphazard glance where well maybe it is, maybe it’s not. But, anyway, I’m the first to admit, that’s my story, she has a different one, but mine’s correct and hers may not be deliberately incorrect, but she may not have known any differently. GD: That’s one of these unexplained questions, as to what that meeting was about, but who knows—yeah. JC: Yo. But anyway, having said that, you know, we could speculate forever on did this happen or did that happen. The comments that I am making leave just as many unanswered questions as when we started. But I can move that pendulum a little bit, a little bit step further. GD: Let’s go back to Civello there in Dallas. Was Civello under any other Mob boss? JC: Civello was not a high profile Mafia leader. But he was one of the smarter Mafia leaders, and in a way more cruel. He ran his part of the United States with an iron fist—but in a gentlemanly manner you know. He just had the ability to get things done the way he wanted them done, without a lot of the adverse publicity that some of the people out of Chicago and New York and Los Angeles may have done there. When the United States was divided there were eight different sections in the United States. It wasn’t an organizational chart, but they didn’t go out of their geographical area. And it was a gentleman’s agreement, this is your area, and you run it. You don’t get involved in this place, and you don’t get involved over here, and we’re not interested in your concerns as to what happens in Louisville Kentucky. You run your business and we’ll take care of the rest of it here. 10 Lamar Waldron, The Hidden History of the JFK Assassination (Berkeley, CA: Counterpoint, 2013), 189; John L. Davis, Mafia Kingfish: Carlos Marcello and the Assassination of John F. Kennedy (New York: Signet, 1989); Stefano Vaccara, Carlos Marcello: The Man Behind the JFK Assassination (New York: Enigma Books, 2013). GD: Most people would be scared to meet these guys. Again, I’m making a statement. It has nothing to do with anything. But just suppose that H. L. Hunt did have enough concern that Lee Harvey Oswald needed some way not to testify. All he’d have to say is, “Man if there’s any way in the world that somebody could get to Oswald and keep him quiet.” That’s all that would be said, you know. Civello wouldn’t say, “Well what do you want me to do? How much money you gonna—?” Its not that kind of conversation at all. People want there to be something like that, where you want a committee meeting, and you want a faculty meeting, and you want an outlined plan, and you want it written down, and you want to rehearse it and go over it. Its not that kind of a deal at all. 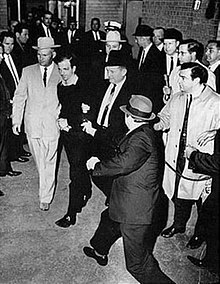 JC: But the people that think they’re in the know, they believe they have every answer in the world as to why Jack Ruby should not have been at the spot he was when he shot Lee Harvey Oswald. Again, my opinion. I’m not giving you any evidence whatsoever. But in my opinion, Ruby was given instructions to get rid of Lee Harvey Oswald. He didn’t want to do it! But he was afraid not to do it. So he left a paper trail as wide as he could, on protecting his image. And everything he did corresponded with the delay that exactly corresponded with what the Dallas police department was bringing on themselves. Not deliberately. But they had the car parked wrong. That cost ten minutes. They had to do something else to change the deal there. So the Dallas police department was making time mistakes there, so when the shooting <unintelligible>, Ruby over here was leaving the best defense he could as to where he was and it being impossible for him to be there. But by him building up his defense theory, and the Dallas police department making mistakes, put the two together, unintercooperated (sic) by anybody else, to me the explanation is just as simple as two and two is four. The police department made enough administrative errors that it delayed the meeting about fifteen minutes from the schedule. Jack Ruby didn’t know those things were going on. 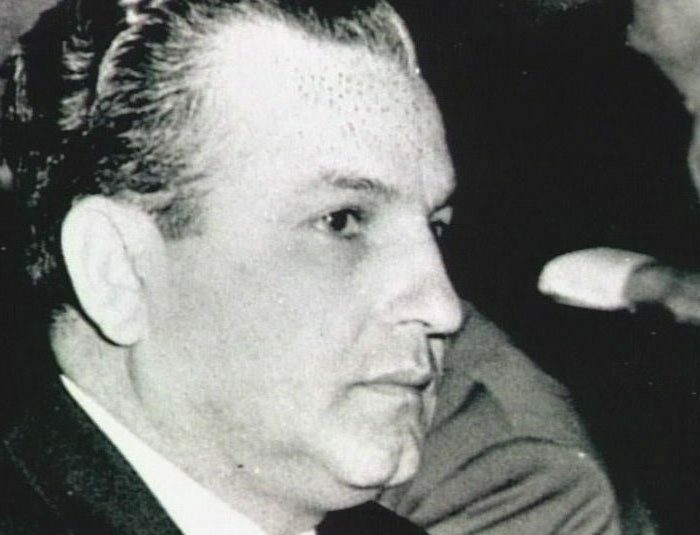 If the Dallas police department had done what they were supposed to do, and not made the errors that they did make, Oswald would have been in the car and disposed of by the time Jack Ruby was building his alibi that he couldn’t have been there. Everything just unraveled where, without any assistance from anybody, just unraveled, to put him where he was able to confront Lee Harvey Oswald and do just exactly what he did. Now me saying that doesn’t make it happen that way. You can accept it or reject it. That’s my theory as to what happened there. The Dallas police department didn’t plan on making the mistakes it did. Ruby knew what time that he should have been coming out of that deal. He scheduled everything he did, going to the Western Union office, calling somebody, calling in, so it would have been impossible for him to have been there. I don’t think Ruby wanted to do the shooting. But then he had no other choice. You know, somebody told him what needs to be done. And he knew if he didn’t do it, he could very well have been ground up in a sausage grinder, and all his brothers and sisters and everybody else there. So its not that simple to just say, “Well I don’t believe I’ll load my gun this morning and go down and shoot somebody.” You don’t have that, you know, you don’t have that choice there.